Energy is precious. It powers our homes, cars, and businesses. But over time the Earth’s natural resources have been steadily depleted. This means that if our society is to continue to grow and flourish, we have to find ways of making our lives more energy efficient. The problem is, many modern buildings are constructed without energy efficiency in mind, using single pane glass for doors and windows. Each year, home and business owners across the United States waste hundreds of dollars due to the poor insulation of their building. 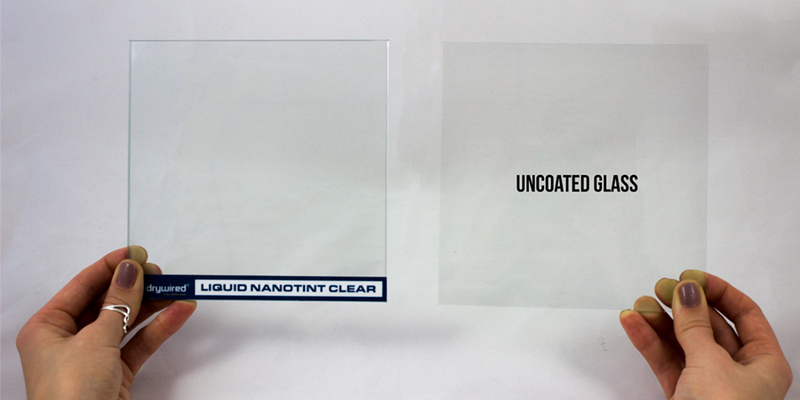 To solve this issue, the experts at Drywired have come up with a new energy saving product, Liquid Nanotint. Applied just like paint, Liquid Nanotint is a revolutionary solution for making the structure of your building more energy efficient. By enhancing the insulating properties of your building, Liquid Nanotint could save your Dallas home or business tons of money on annual electrical costs. In the past, traditional window treatments such as dark window films and expensive triple pane windows have been used in attempt to mitigate costs from energy loss. But these methods can end up being more of a burden than they are helpful. Window films can peel, crack, bubble, or fade over time and their dark appearance can make the interior of a building dim and dreary. Triple and double pane windows often cost more money than they save in the long run. That’s why Drywired Liquid Nanotint® has become Dallas home and business owners’ preferred method for increasing glass window insulation. It doesn’t involve any expensive renovations, preserves the bright and clear appearance of your building, and has a lifetime expectancy of at least ten years. Eliminate the waste in energy spendings. Make your space more energy efficient and environmentally friendly by installing Liquid Nanotint. Call Dallas Window Film today to schedule an appointment for your home or business.